Carnival Miracle begins year-round service from New York today with several new dining and entertainment options, including The Taste Bar, The Punchliner Comedy Club presented by George Lopez, and The Punchliner Comedy Brunch presented by George Lopez. 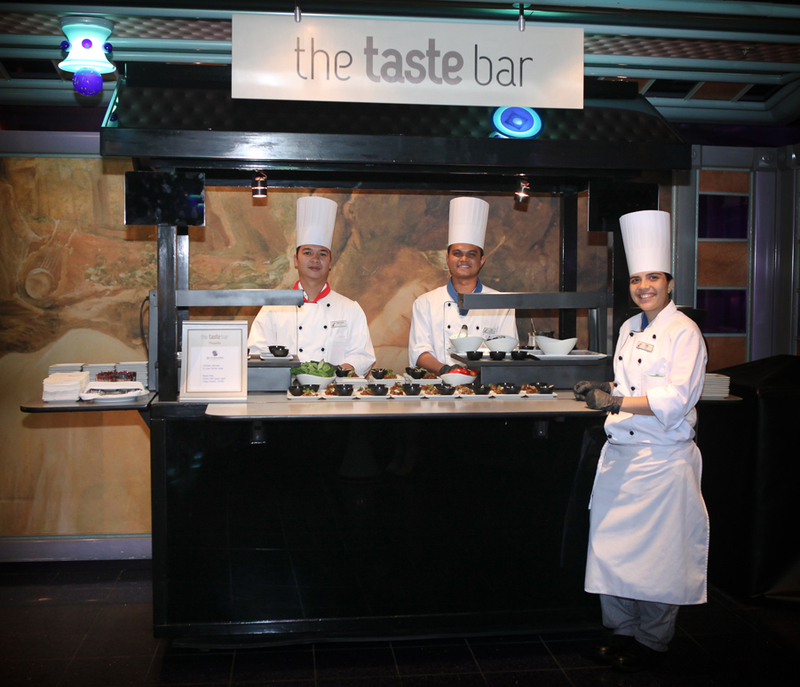 The new Taste Bar features complimentary bite-sized offerings inspired by popular “Fun Ship 2.0” dining venues. Serving everything from roasted pork tacos, inspired by the BlueIguana Cantina to Nonna’s meatballs and hand-whipped ricotta bruschetta patterned after the delicious Italian favorites at Cucina del Capitano, The Taste Bar offers a tantalizing array of choices. The Punchliner Comedy Club presented by George Lopez also makes its Big Apple debut, as part of the recently announced partnership with the popular comedian. The legendary funnyman serves as the line’s “curator of comedy,” participating in the vetting and hiring of shipboard comedians who perform up to five shows on multiple nights of the voyage. He also was the inspiration behind the new Punchliner Comedy Brunch presented by George Lopez. Taking place on sea days in the main dining room, guests will enjoy a traditional mid-morning feast with a unique Carnival twist: five- to six-minute performances each hour by hilarious comedians. The Carnival Miracle’s year-round program from New York includes three different eight-day itineraries, each visiting a diversity of tropical destinations throughout the Caribbean, Bahamas and Florida. For more details on the ship’s new dining and entertainment options and year-round service from New York click here. In the meantime we leave you with a slide show of the delicious food being served as part of these exciting new dining options.